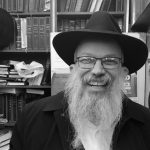 As this Thursday is the shloshim for my brother HaRav, Hachossid, Hatomin, Reb Yonah, and during shiva many people mentioned to us that they had no idea of the extent of his peulos (activities), I decided to mention a few points that he took tremendous pride in having the zechus to participate in and/or accomplish. This way one can obtain a glimpse of his life and hiskashrus to the Rebbe. So while we don’t say hespedim in Lubavitch, the Rebbe taught us the concept of V’hachai Yitein El Libo – the living should take to heart; so we discuss the niftar in order that it may inspire us to increase our dedication. When the Rebbe began the mivtza of learning Rambam in 5744 (1984), he gave three options. Either one can learn three perokim (chapters) on a daily basis and learn the entire Yad Hachazakahin slightly less than a year. Or a person can learn one chapter per day and complete it in almost three years. A third option was to learn the Rambam’s sefer hamitzvos (based on the order of the mitzvos which were being learned in the first option). Yonah, as many of Anash did, began learning three chapters a day. However, he knew that many people could not accomplish that and they truly wanted to participate in this mivtza that the Rebbe initiated and learn at least one chapter a day or the sefer hamitzvos. However, at that time there was no chayeinu or a translation of the Rambam’s yad hachazakah, so he realized that those who don’t understand loshon hakodosh would not be able to participate in this mivtza of the Rebbe properly. At best, they would read the chapters of Rambam, just as one reads tehillim etc., without any understanding. He therefore hired Rabbis Chaim Citron, Berel Bell, Shimon Neubort, Zushe Winner, Herschel Greenberg, Immanuel Schochet a”h and Avrohom Wasserman a”h (and perhaps others) to record a translation on a cassette and every night around midnight he would go to his office and switch the cassette for the following day. However, there were times (and not just occasionally) that either the speaker couldn’t do it on time or the mail didn’t arrive on time, so he would record it himself. His daily schedule was a full one, from taking care of Sichos In English, in both aspects of being responsible to put out the publications as well as the fundraising part. After taking care of these obligations, working on the translations that he was producing, he would prepare the shiur on the Rambam. At around midnight he would begin focusing on this project of getting the cassette on the telephone. Yes, before the computer days it was on the phone and he had twenty lines for people to call in for the daily Rambam and/or (as well as the daily lesson of the Tanya which he hired Rabbi Manis Friedman to do). So on the days he had to record the shiur (translation), although he had learned that chapter already, he would relearn it for an hour to make sure that he truly understands it in a manner that he can give it over to the public, and only then begin recording it. So quite often he only came home around two in the morning. By seven o’clock his day began anew. He also hired Rabbi Bell to write a translation of the sefer hamitzvos, with explanatory information about the mitzvah. That was then published in a two volume set. So while this was not the Rebbe’s sichos, however, it was definitely the Rebbe’s kuch (passion), and if that was something the Rebbe wanted to be accomplished, Yonah was the one the made sure it was done, and done properly! He didn’t call asifos (meetings) to see what has to be done and who would be willing to take the responsibility of making sure someone did it; without fanfare he began doing it. 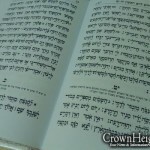 And he began almost immediately after the Rebbe called for the learning of the Rambam, as Rabbi Citron gave the shiurim on hilchos Yesodei HaTorah, (the first set of halachos). And although he was in his twenties, he joined the committee to make the Siyum HaRambam celebrations in prestigious locations in Manhatttan. To him it wasn’t as if he was doing something extraordinary. He was just assisting others in participating in a mivtza of the Rebbe. However, in time he found out how special that translation was. One time during a farbrengen the Rebbe said “The shliach of the Rebbe the shver, for spreading the study of Rambam, should say L’chaim.” No one knew whom the Rebbe was referring to, until he pointed to Yonah. Another project that he prided himself for was his intuition, that lead to the publishing of Migolah L’geulah in Hebrew and then its translation into English [From Exile To Redemption]. 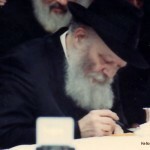 In 5746 (1986) Rabbi Eliyahu Friedman began compiling points that the Rebbe said on the topic of Moshiach’s imminent arrival. A year or two later, when Yonah thought he had enough material to publish as a booklet, he sent it in to the Rebbe asking permission to publish it. Not only did the Rebbe respond with a NO!, but he gave three reasons why it should not be printed. People were surprised, but since the Rebbe said no, he did not publish it. However, Yonah told Rabbi Friedman he is going to pay him to continue working and even add to his compilation additional points that the Rebbe would say in subsequent farbrengens. He argued that since the Rebbe gave reasons for his decision, that means that now is not the time, but later it may change. Otherwise, the Rebbe would have simply responded, no, without explaining himself. Since when does the Rebbe have to explain to us his reasoning?! Yonah replied, “Based on the sicha we just heard, I feel that now the Rebbe will agree and indeed wants it published, so I am writing in. If I receive an admonishment for asking a second time, so be it.” One of the mazkirim agreed to present it to the Rebbe. Rabbi Groner would enter the Rebbe’s room every day before mincha. He related how he saw the Rebbe reviewing the entire manuscript for around twenty minutes and then gave permission to publish it. That is one of the 10 Seforim, Sichos In English published on the concept of Moshiach and Geulah. When Yonah heard that, he was thrilled but nervous. What he sent in to the Rebbe were the office’s typed sheets, but now they had to be typeset, copy-edited and printed in only a week and a day or two, an unbelievable task. However, if that is what the Rebbe requested and wanted, that will happen. He literally moved into Empire Press, sleeping on a folding bed a few hours a night. As each few pages were typeset he would begin reviewing them and noting corrections or changes. After the regular business hours, a second typesetter came in, and worked late into the night. The typesetting concluded two days before the Rebbe’s deadline and Yonah made one copy, took it to a binder to bind and gave it in that day. When the Rebbe was informed that it everything was accomplished in this short amount of time, he praised Yonah’s alacrity and dedication, saying Ich hub nisht gericht – I didn’t expect it. In the first years of Sichos In English, someone else prepared a sefer with an English translation on the Rebbe’s sichos and sent it to the Rebbe. The Rebbe’s reply was zeh shayich l’sichot b’anglit – this [translations of my sichos] belongs to Sichos In English. And that was said when Yonah was still a bochur! When the person came to Yonah with this answer and asked him what should he do, he told the person, I allow you to publish it and helped them on the consecutive volumes as well. As Rabbi Simon Jacobson informed us, that was Yonah’s motto. 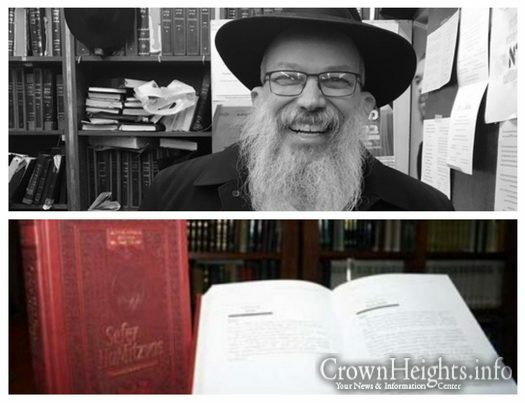 Years later, when his organization was considering to publish “A Week In Review,” he realized that he needs Yonah’s permission to publish sichos and/or thoughts of the Rebbe in English, and he spoke to him about it. Not only did Yonah allow him to go ahead, but he gave him practical advice and help on how it should be done. It wasn’t about him or Sichos In English. The only thing that mattered to him was that the Rebbe’s teachings should be available to as many Jews as possible. There is so much that has to be done and if others are participating in doing it, wonderful. It wasn’t about him, it was only about the Rebbe. In almost all of the seforim he published, he wrote in the forward the concept of: may this be an additional/final step of bringing the day when Hashem’s wisdom will cover the earth, like the water covers the seas and usher in the days of Moshiach. That was his thought every day. I would like to conclude this article with a thought to his wife and children. Rabbi Yaakov Schwei mentioned to us the following story during shiva. Once a young boy came with his father to visit the tzaddik, the Holy Ruzhiner. The Ruzhiner noticed that the child was circling him a few times, and realized he is looking for something. So he instructed his gabbai to ask the child what is he looking for. If the child wanted a drink or something to eat, it should be given to him. The child responded; “My father informed me that he is bringing me to an angel of Hashem. That is how he described the Rebbe. Since I learned that an angel has six wings, I was looking for them. This weeks story is posted l’zechus my great-nephew Yonah Meir Hacohen ben Aidella, l’arichas yomim v’shonim tovim. It was brought to my attention that the actual answer and permission or better said encouragement to print it was given through Rabbi Chaim Yehudah Krinsky who was the mazkir who handed it in. If that was the Rebbe’s standard practice of answering through the mazkir who brought it in I don’t know.